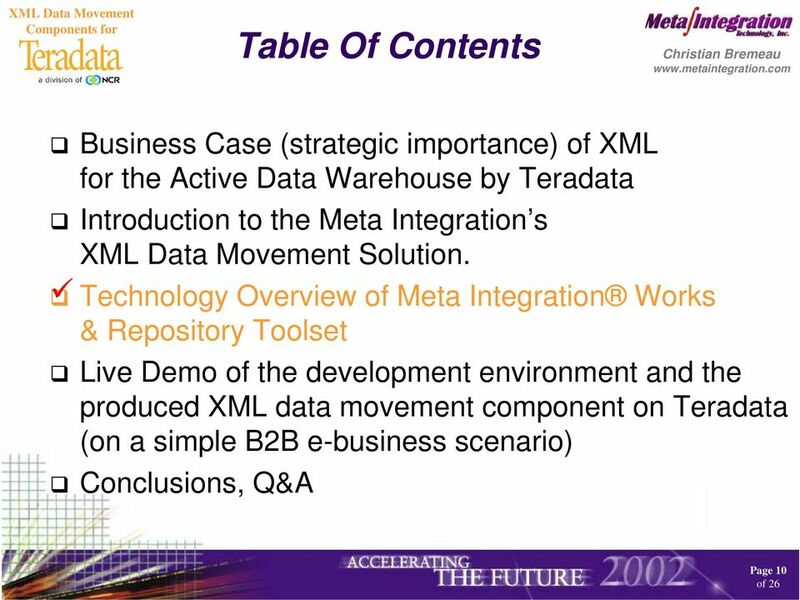 Download "XML Data Movement Components for Teradata"
1 Teradata XML plays a key role in modern B2B e-business and e-reporting solutions. 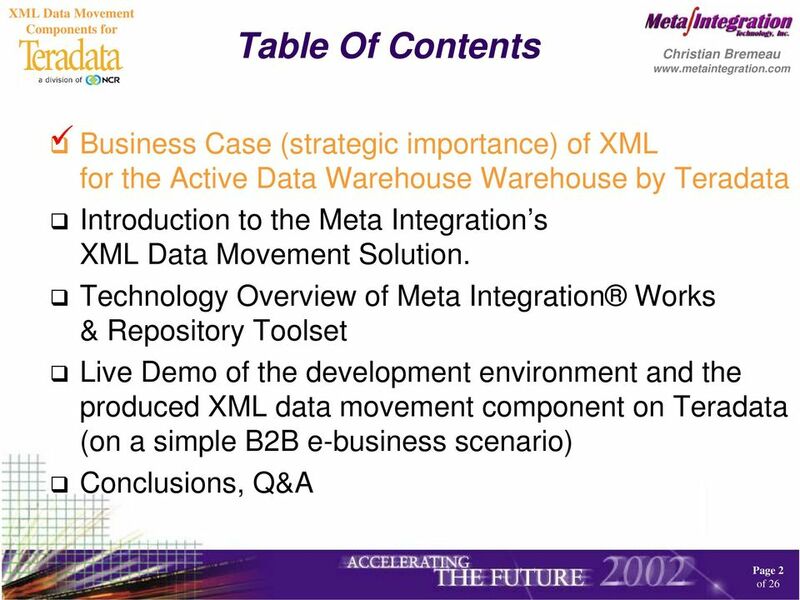 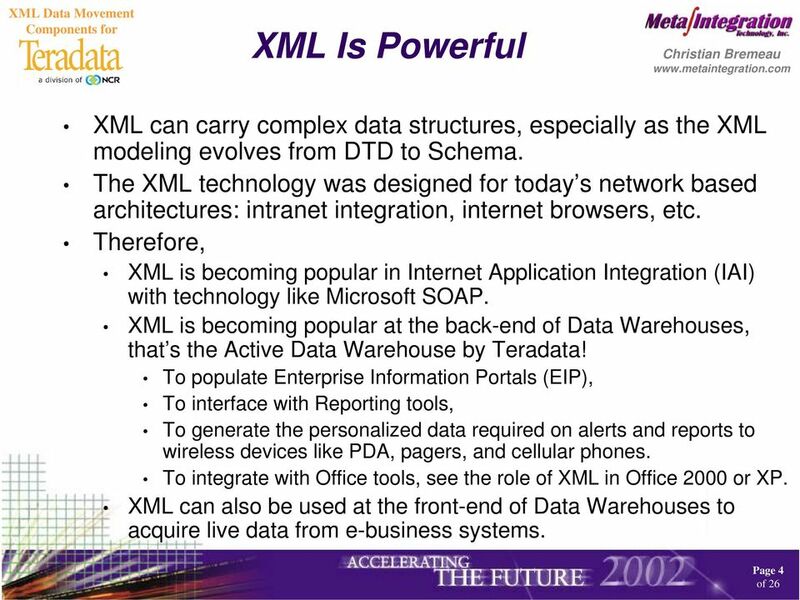 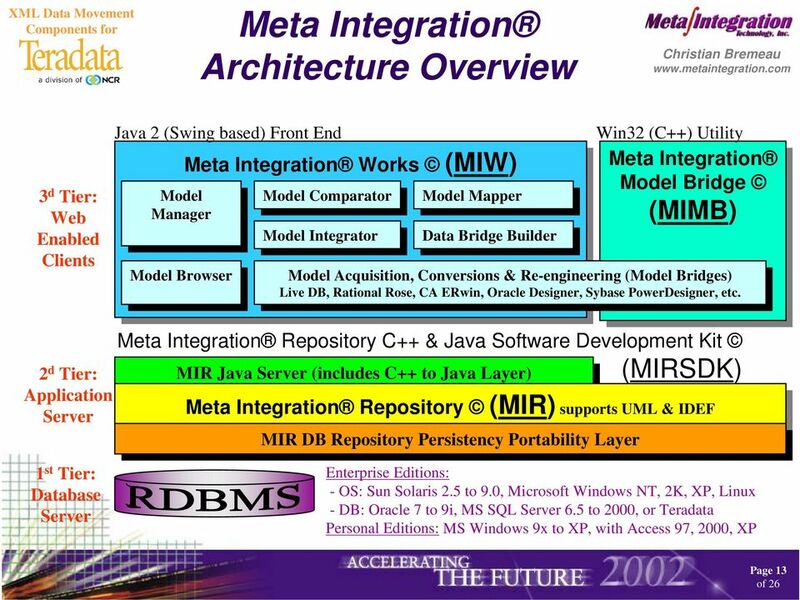 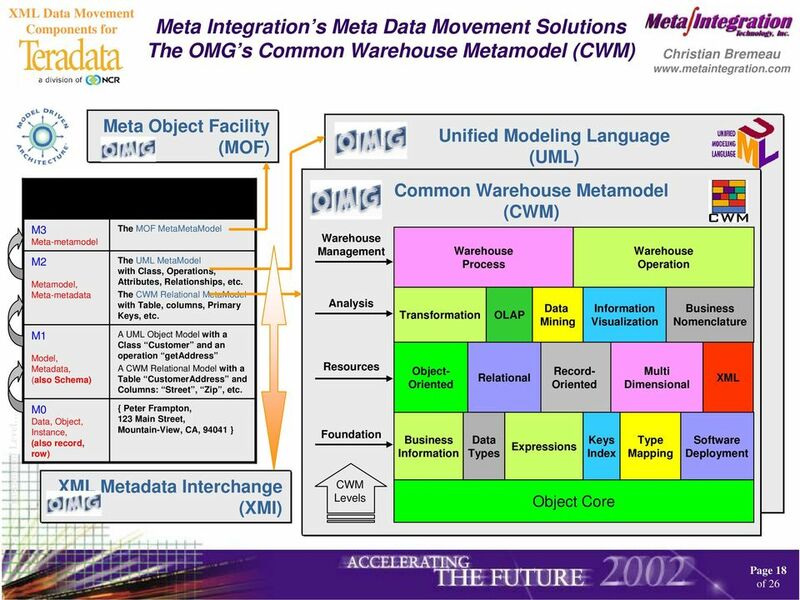 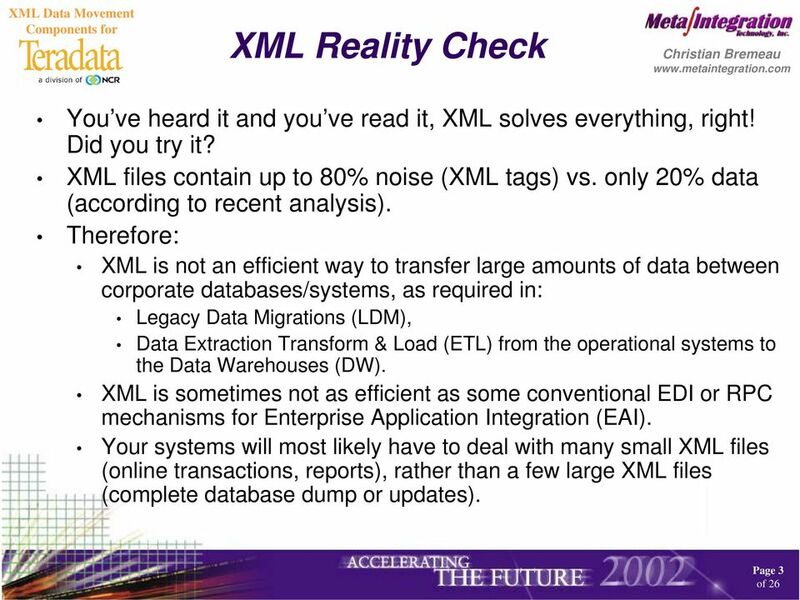 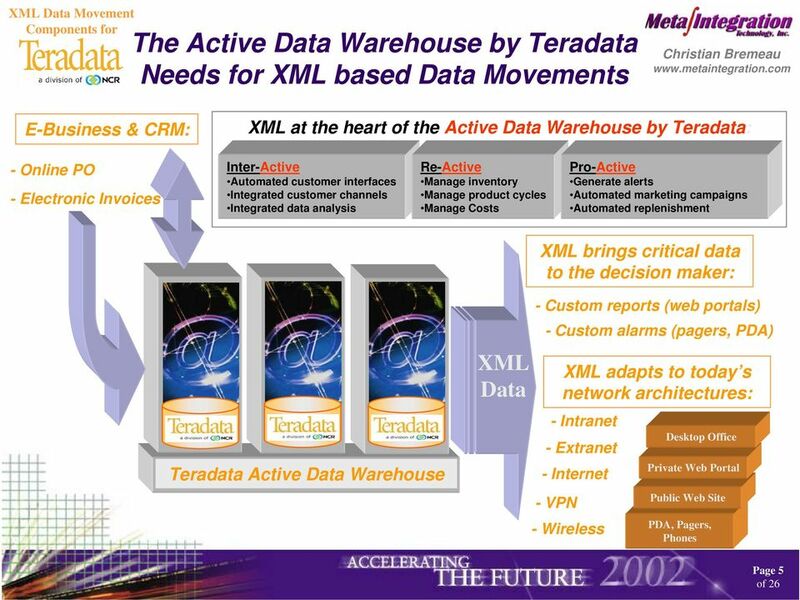 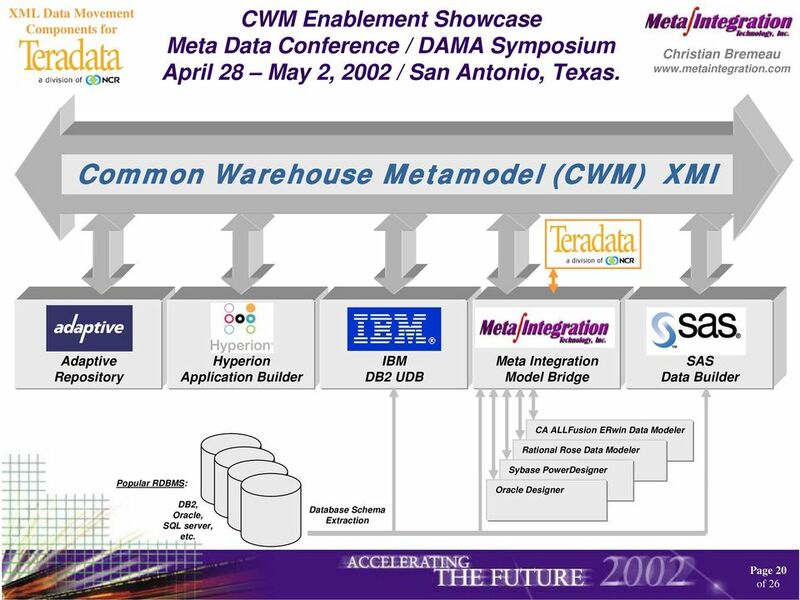 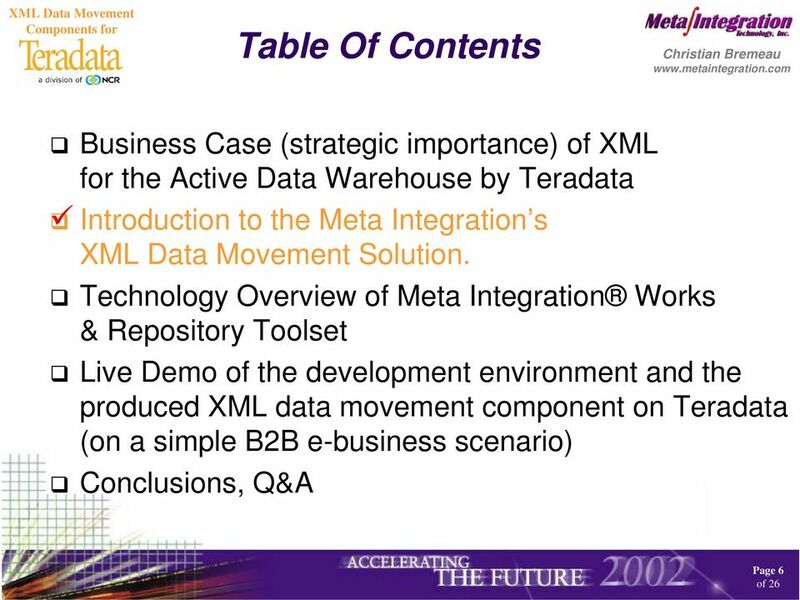 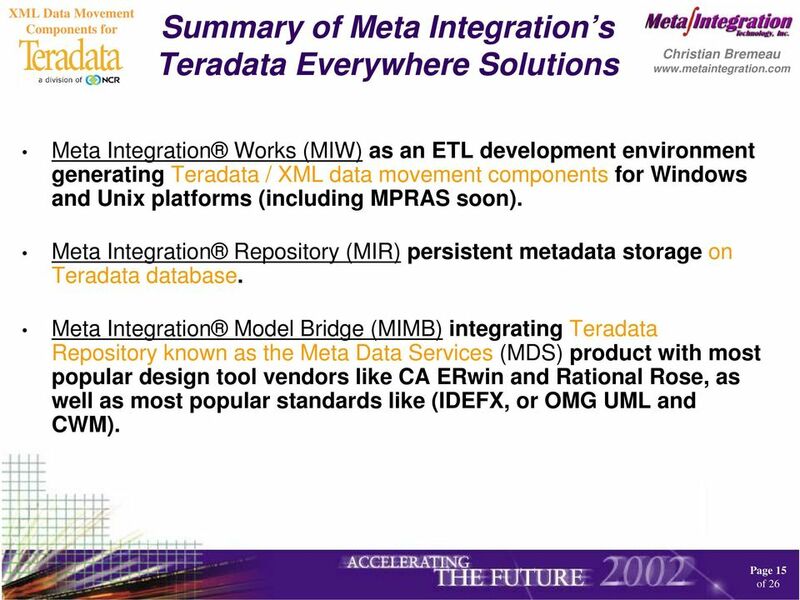 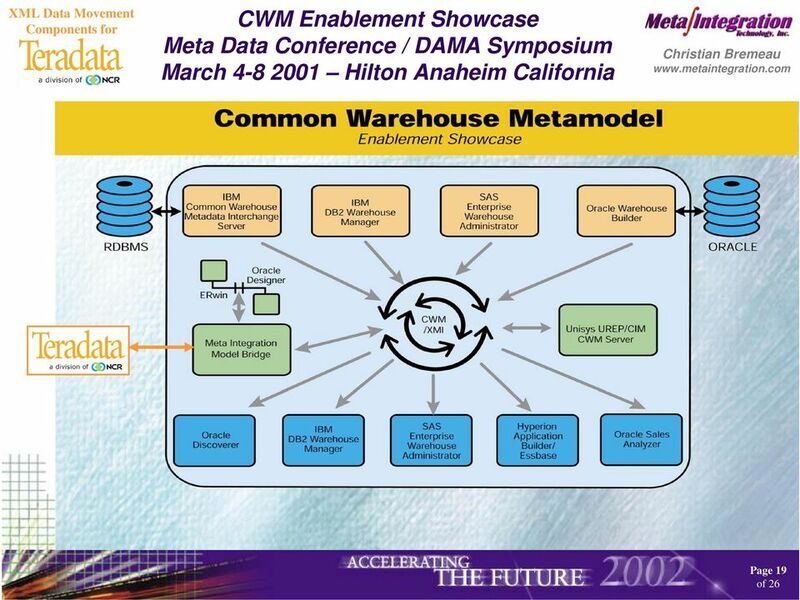 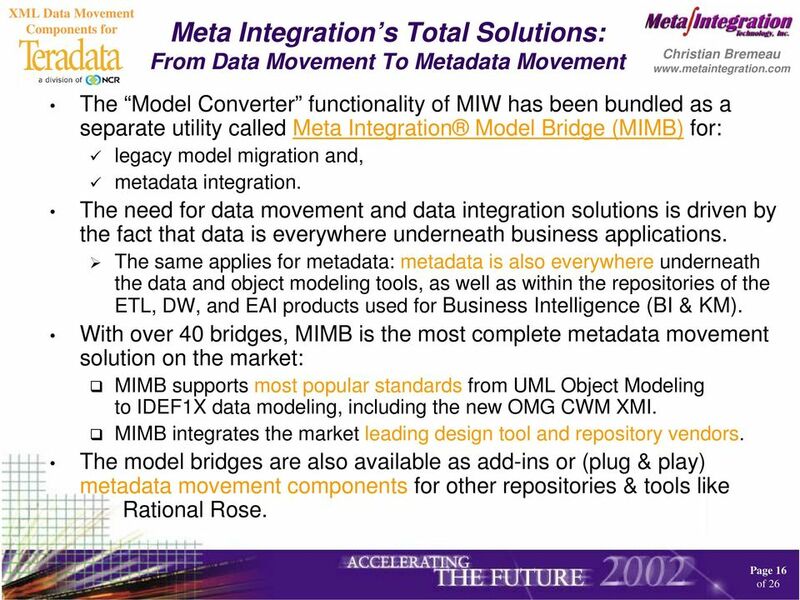 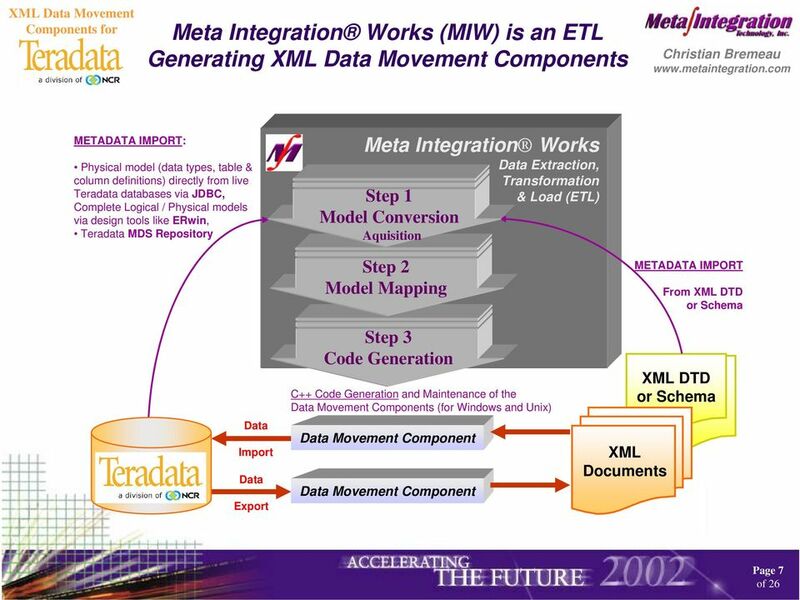 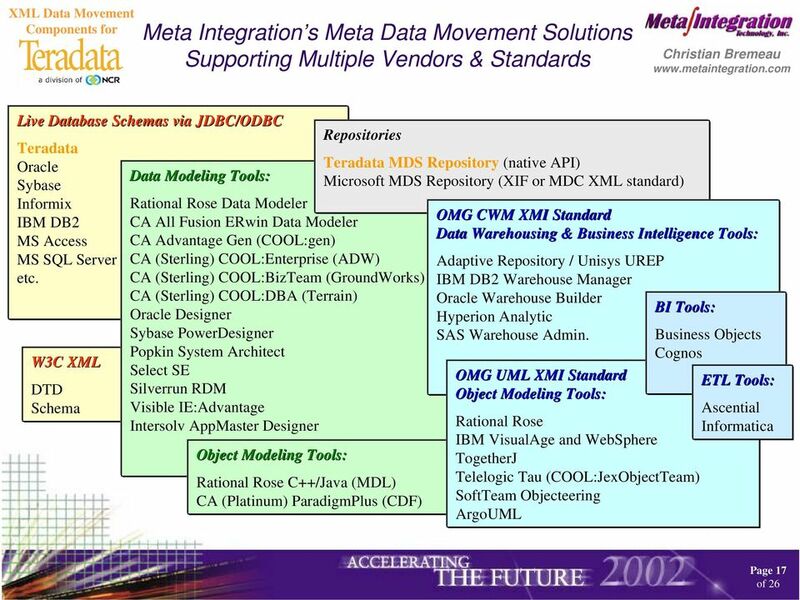 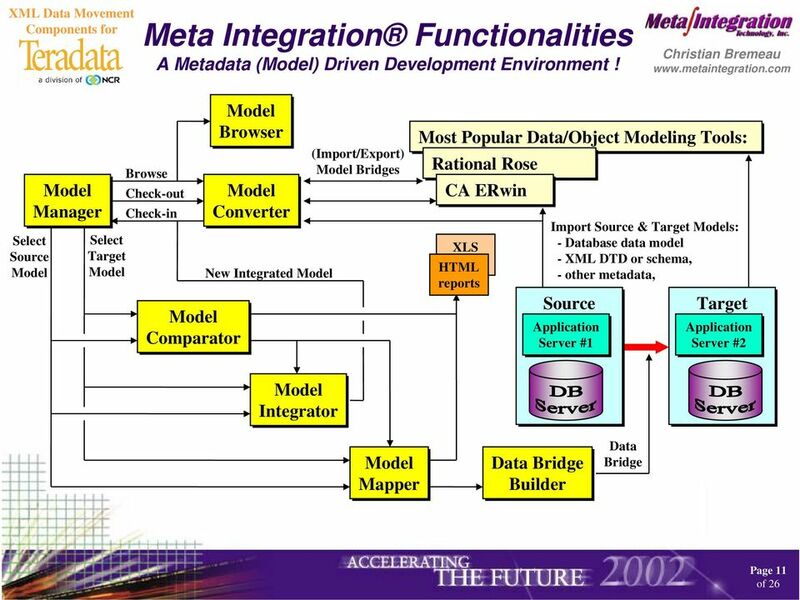 Meta Integration Works is an ETL (Extract-Transformation-Load) development environment producing and managing XML data movement components for the Active Warehouse by Teradata. 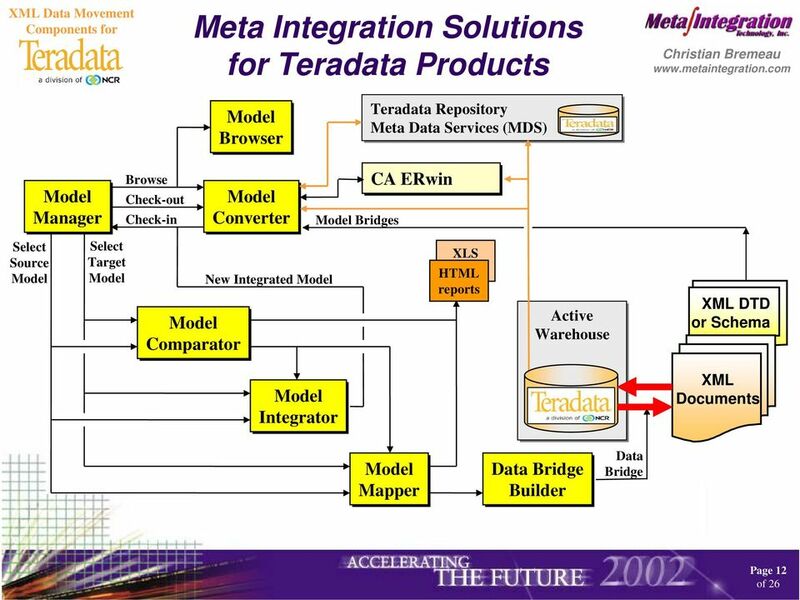 The toolset is built upon a 3-tier architecture with a web enabled multiusers GUI (Java), and a powerful repository server running on top of Teradata (or any RDBMS). 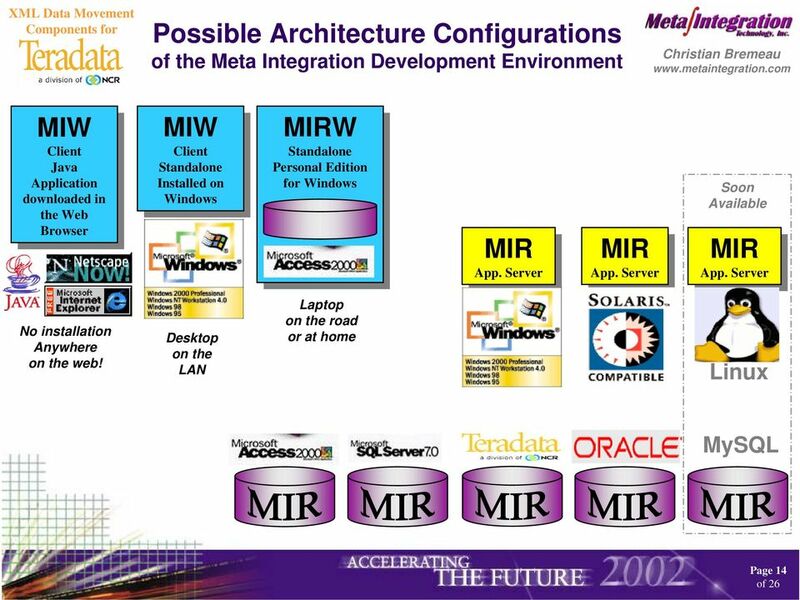 The toolset provides support for metadata import/export (popular design tools and standards like CWM XMI), version management, comparison, integration, mapping, and generation of the C++ code for MP-RAS or any Windows/Unix OS. 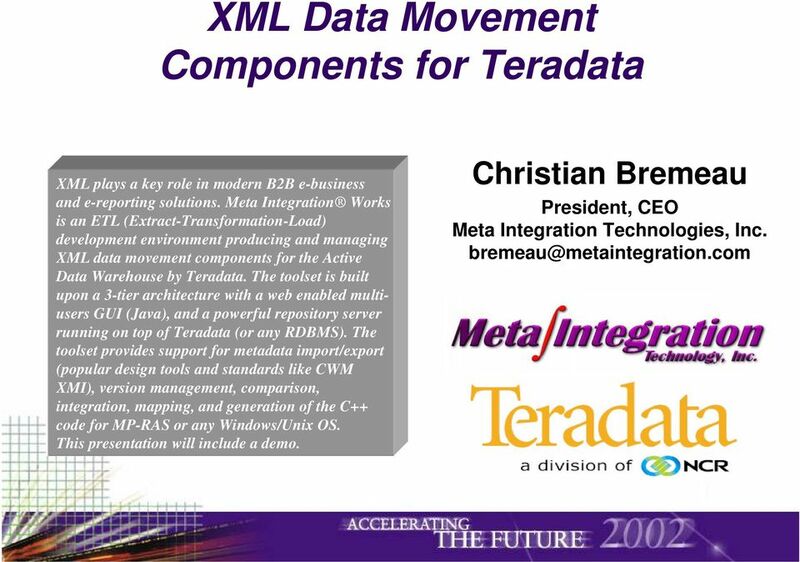 This presentation will include a demo. 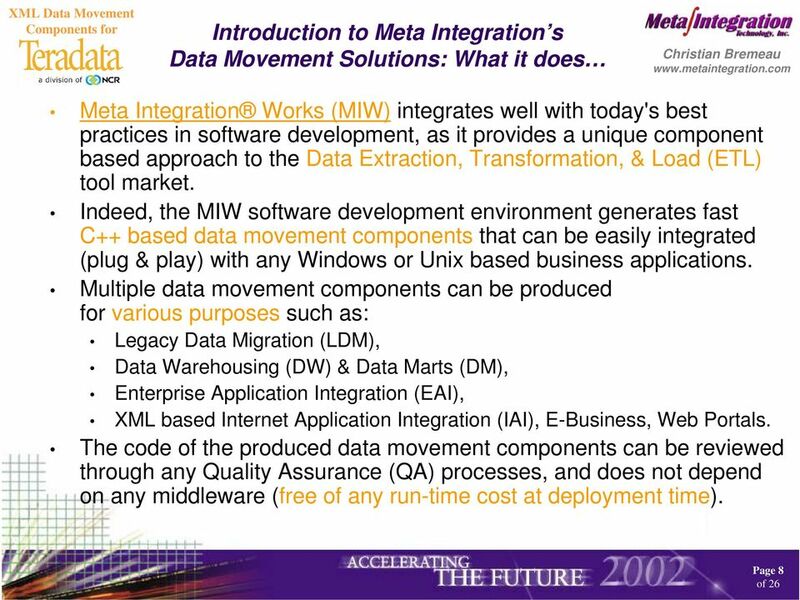 President, CEO Meta Integration Technologies, Inc. 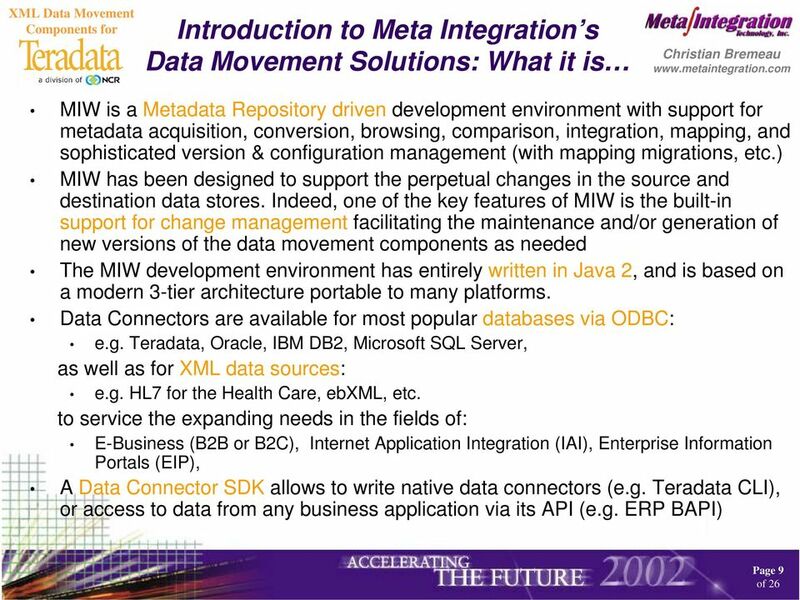 Transforming Data Integration from "Create" to "Connect"